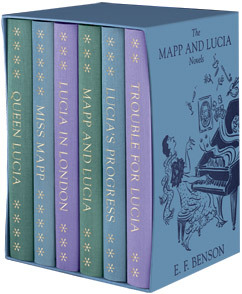 Ciao Domenica: British Wit and "Mapp and Lucia"
British Wit and "Mapp and Lucia"
After visiting the Cotswolds in England this summer, I became curious about the British series of novels "Mapp and Lucia" by E.F. Benson. 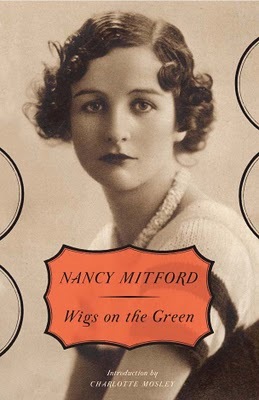 The books were written in the 1920's and 1930's and set in a village in the Cotswolds and a village in Sussex. I watched all ten episodes (there are only ten!) and could not get enough of this hilarious, laugh out loud comic masterpiece. The story revolves around the social rivalry between the two main characters, Elizabeth Mapp and Emmeline Lucas (Lucia) and their struggle for power in an idyllic English village. Prior to Lucia moving to the village, Elizabeth had been the social queen. Her position is threatened by Lucia who is richer, more sophisticated, and more confident than Mapp, and peppers her conversation with Italian phrases and bon mots, such as "Au Reservoir," when saying good-bye. 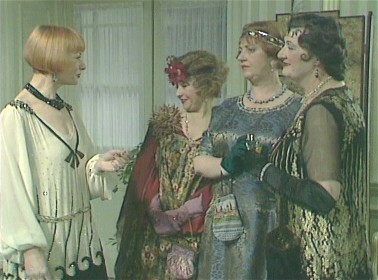 Two great actresses play the leads: Geraldine McEwan as Lucia and Prunella Scales as Mapp. Nigel Hawthorne and many other familiar British actors round out the cast. Anyone who is a fan of British humor will enjoy this gem of a television show. For me it is in the company of "Love in a Cold Climate" and "Jeeves and Wooster," two other excellent television adaptations of comic British novels. I was excited to read in the November issue of "Town and Country" that there are a number of witty books by British authors coming out next month. 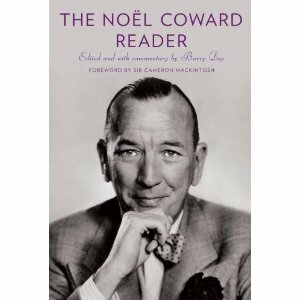 Anglophiles can anticipate a rich winter season of reading. I will be doing mine right here. love the new post! 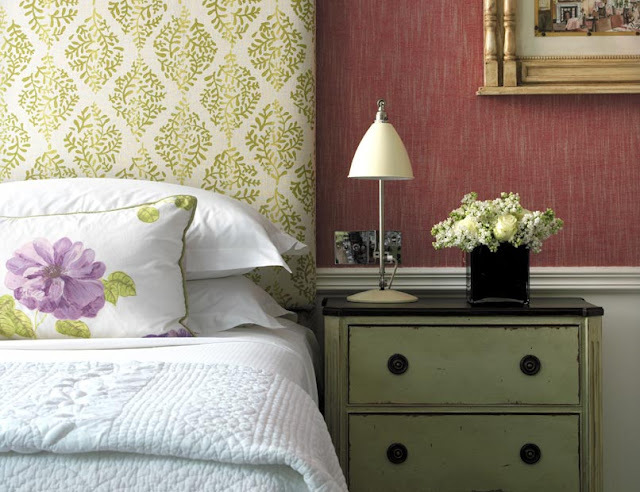 au resevoir is so chic! very french! i'm loving your blog! so inspiring! I can't wait to share this with my dad! Oh thanks for the laugh... a remembered laugh... Au Reservoir! 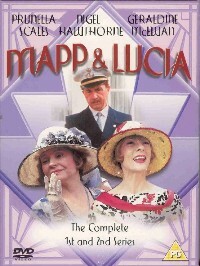 We have owned the Mapp & Lucia videos for many, many years and have watched them at least 3 times through. Priceless writing and incomparable acting. In fact, it was so long ago that we purchased them, there are in VCR form! Luckily we still have a DVD/VCR player that works fine! Quay high! I created this blog to share the many things that inspire me. I love literature, home, gardens, art, ballet, cooking, travel, fashion, the writers and artists of the Bloomsbury Group, and Italy. 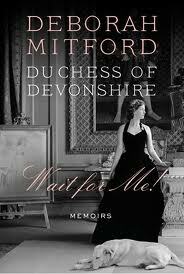 Books are my passion and many of my favorites are set in England. I was named after my great-grandmother whose name was Domenica, Italian for Sunday. 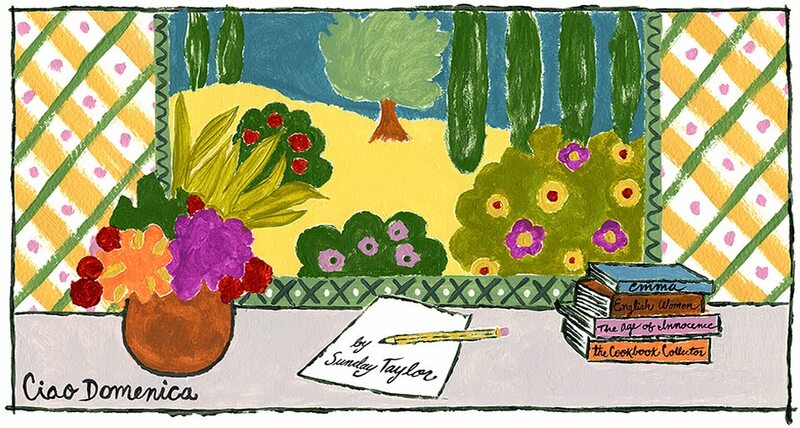 Please join me as I write about my daily inspiration and celebrate the joys of life. What Book Do You Reach For?